A spicy herbal fragrance with subtle woody undertones. 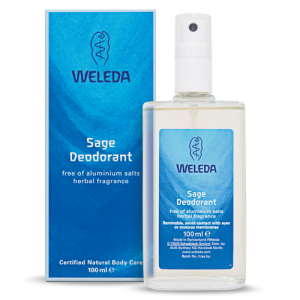 A cooling natural deodorant with sage to eliminate unpleasant body odours. 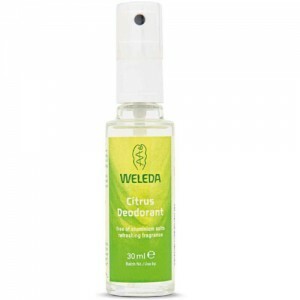 Made from lemon juice plus pure essential oils distilled from Mediterranean and tropical plants including Sage, Pine, Rosemary and Lavender, to produce an effective long lasting deodorant to counteract unpleasant body odours without inhibiting the important functions of the skin. Alcohol, Water (Aqua), Fragrance (Parfum)*, Ammonium Glycyrrhizate, Salvia officinalis (Sage) Leaf Oil, Melaleuca Alternifolia (Tea Tree) Leaf Oil, Limonene*, Linalool*, Geraniol*, Coumarin*. * from natural essential oils (i.e. naturally present in the essential oils). Apply after showering or bathing as often as necessary. For most people one application lasts all day. Do not spray in the direction of the eyes or mucous membranes.